He might be a forgotten contender but Michael Hoey hasn't forgotten how to play links golf and if he goes well this week, he certainly won't be overawed. The 35-year old from Shandon Park tees it up in his third Open, and just his second as a professional, believing he can finally make an impact and move closer to the world's elite. Rubbing shoulders with some of the best players on tour — mainly on the course but also in the physio truck — has left him feeling far more comfortable around golf's top table. And while he's often been reluctant to fiddle with his swing by adapting his ball position to play the shots required on links, he's confident he can do well despite teeing it up for the ninth time in the last 10 weeks. "I've been working on a few things in my swing with Johnny Foster and Justin Parson because it was getting a little bit sloppy last week," said the world No 167, who is 33rd in the Race to Dubai thanks to his new found consistency. "But I've played 36 holes and I feel ready good and I'm holing a few putts which gives you more energy for what's already an unbelievable event. "I certainly prefer this course to Royal Lytham two years ago, where I sprayed the ball everywhere and didn't do well. But I'm hitting the ball a lot better now. "The plan is to make the cut [he's missed it in the two Opens he's played so far], not that that's my ambition because I think I can do better than that. But the idea is to win some world ranking points and move up the rankings. "I didn't play that great for the last two rounds in France but a couple of birdies on 15 and 16 basically got me in this. 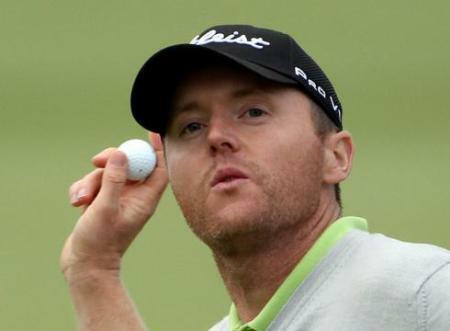 Obviously I was playing with Graeme on the final day there too and it was great to see his phenomenal putting." Hitting fairways is key at Hoylake and Hoey has a plan to do just that. 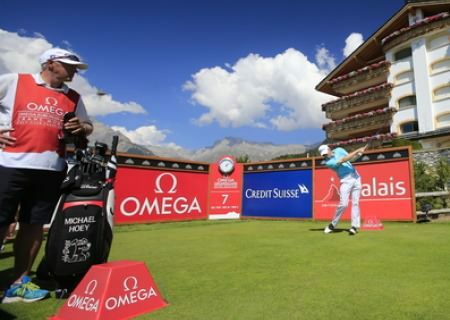 "There are bunkers everywhere from 260 to 290 yards off the tee so I have been hitting a lot of two-irons. "It's interesting because links golf actually used to hurt me because I would put the ball back in my stance and drive my legs. So I don't really want to do that and my two iron is strong — a one-and-a-half iron and it does go low. I used to last week and you can hit it in short of the bunkers. "I used to just jam the ball way back in my stance but then you don't make proper swings so it is a balance." Having held off McDowell and Rory McIlroy to win the Dunhill Links Championship at St Andrews, you might think that Hoey should be regarded as a potential dark horse this week. But the five-time European Tour winner is more cautious. "The Dunhill is a great tournament but there is not nearly as much rough off the tee as there is here. In majors there is a lot more rough and it's graded so you can't knock it around unless you drive the ball well. At St Andrews there is room off the tee and this is a tougher test. "I'd love to put myself in position to see what it's like. I played with Graeme in France and Luke Donald last week. "I also played with Stenson in China and I didn't feel uncomfortable. I enjoyed it. Shane Lowry was saying the same thing to me. The more you play with those guys, the easier it is. "And if you can get your world ranking up slightly you suddenly feel more comfortable. I have physio with Faldo last week because I am with Pro Golf Health with Shane Lawlor and I have physio with the guys — Stenson, Ian Poulter, Charl [Schwartzel], Louis [Oosthuizen], Padraig, and I see all these guys anyway. That obviously helps me because if I play with them, I already know them and that helps a lot. "In the old days it would have been 'Oooh, I'm playing with such-and-such, so that all helps a lot." Michael Hoey moved into contention for a Ryder Cup place when he closed with a second successive 65 to win the Trophée Hassan II by three shots from Damien McGrane at Golf du Palais Royal in Morocco.